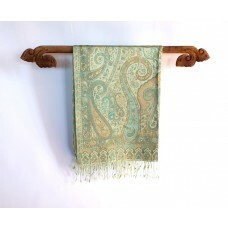 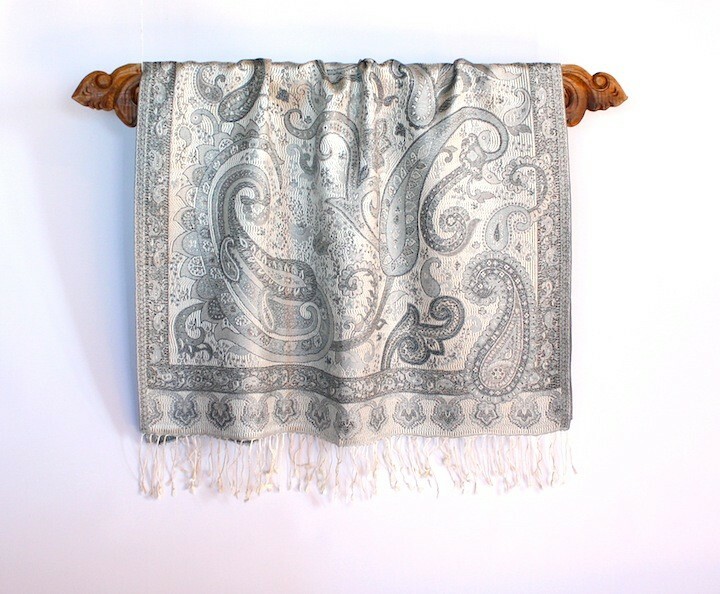 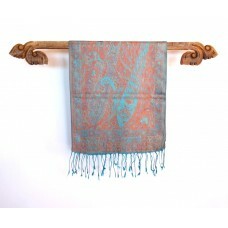 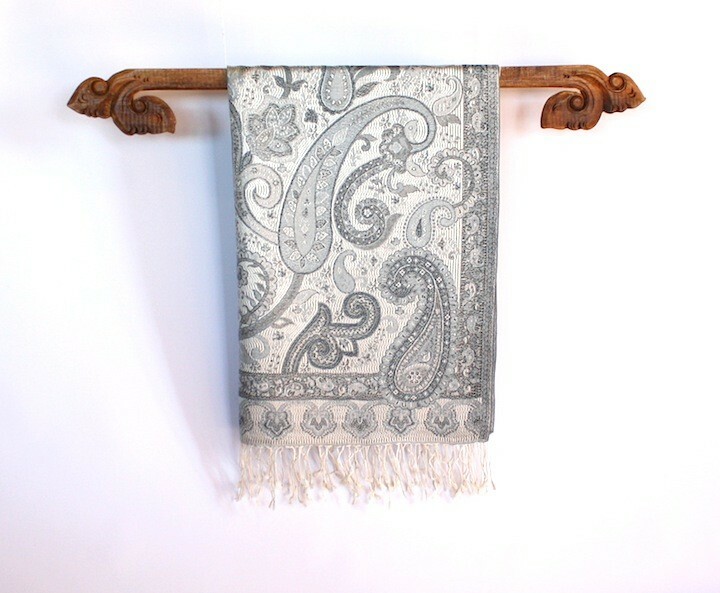 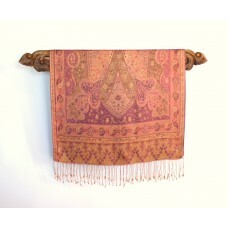 The Silk Pashmina Shawls are a blend of pure silk and wool pashmina, woven into elegant reversible paisley designs. 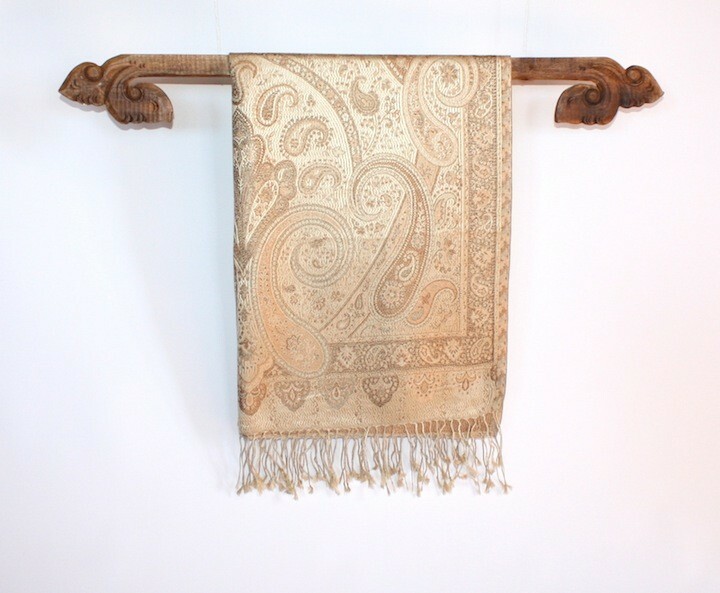 Silver and Gold Shades. 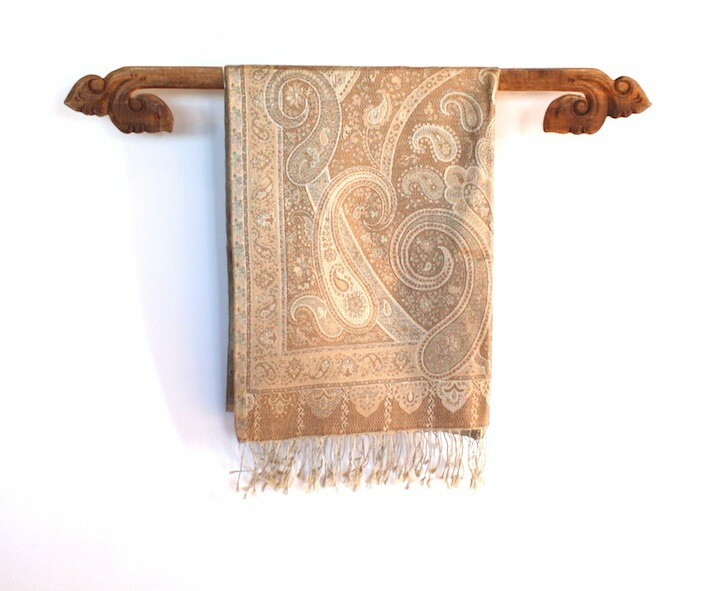 In the Sanskrit language Pashmina translates to 'soft gold'. 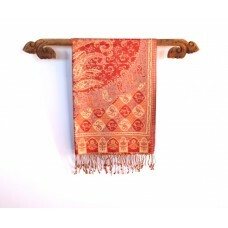 It is a fine quality cashmere wool first produced in Kashmere, in Northern India.